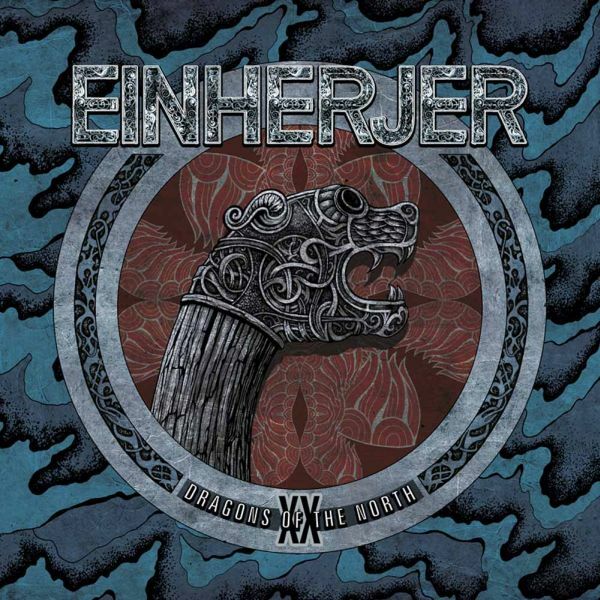 EINHERJER - DRAGONS OF THE NORTH VINYL (LP BLACK) | Online Shop | Wizard LTD. Album: "DRAGONS OF THE NORTH VINYL (LP BLACK)"
"Dragons of the North" was released in 1996. The golden era for Norwegian extreme metal. Recorded in legendary Grieghallen Studio in Bergen, a matrix of legendary metal bands at the time. Written and recorded with unspoiled creativity, it was innovative and a fresh breath in the scene. And revisiting this album 20 years later, it still feels fresh and unique. A cult classic for the older generation, and a hidden gem for new fans of Viking Metal. As one of the pioneers, Einherjer have been in the forefront of an exploding genre for more than two decades. As a Viking Metal band, Einherjer&apos;s goal has always been to respectfully convey the northern myths and history to a wide audience. But also to take their heritage back from people who try to corrupt it.